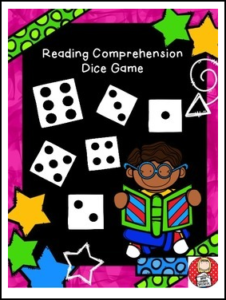 This resource is designed for literacy rotations to reinforce the explicit teaching of the high yield active comprehension strategies. All that is required is to print out the resource and provide a standard die. The activities include the following options: Predicting, Clarifying, Questioning, Visualizing, Summarizing, Connecting, Questioning and Inferring. (The “Visualizing” and “Summarizing” cards are included with both a “z” and an “s” in the spelling, so teachers can choose the appropriate spelling for their students). This resource therefore includes both U.S. and Australian spelling. If you download this product please take some time to rate it and provide me with some feedback. As well, please consider becoming a follower of my TpT store so that you will receive notification when I release new products.